Hello Sponsors, friends and family. 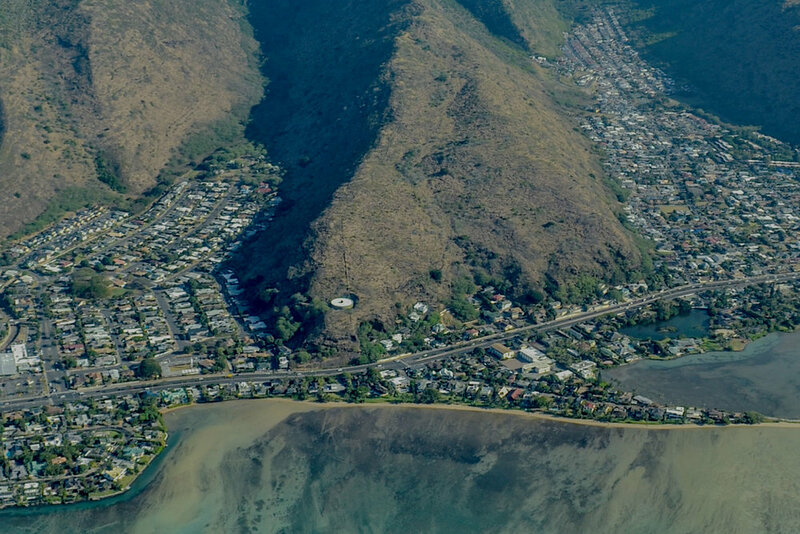 THANK YOU for your prayers regarding my (Teri) trip to Port au Prince, June 23-July 2, to work alongside the Park Street Church of Boston Team (PSCT). Your prayers were answered because it was a great trip, we all got along well, stayed healthy, and had a wonderful time with the King’s children and Graduates. Additionally, I learned so much from the PSCT! On Monday, Wednesday and Friday morning, the PSCT hosted a VERY creative and high energy Vacation Bible School for the King’s Garden and a handful of school children. The theme was the Fruit of the Spirit, which was reinforced via Bible story dramas that the children acted out, songs, crafts and games. In the afternoon, it was all about having fun as some played sports (volleyball, badminton, baseball and soccer); some did crafts (friendship bracelets), games (Jenga or Connect 4), and puzzles; and some colored or enjoyed books (a member of the PSCT had written a couple of books). All of the children participated in the end of the day squirt bottle contest to see who would end up the wettest; it was always me. In addition, we taught the children how to play chess as I brought 10 chess/checker/backgammon sets for them. I thought some of the younger children would just want to play checkers but they all wanted to learn chess. Finally, on the last Sunday, we hosted an ice cream party and handed out goody bags. The children sang a worship song that a Hearten Haiti Team had taught them and then the older children took turns stepping forward and thanking us for coming to spend time with them and especially for teaching them about Jesus. The PSCT and I were very touched and shed a few tears as we said our good byes. On Tuesday and Thursday, we assisted Dr. Morquette with mobile medical clinics in rural areas with little to no access to medical care and it was an incredible experience. The PSCT was comprised of two doctors who, along with Dr. Morquette, saw over 200 patients over the two days. In addition, the PSCT set up a pharmacy that was stocked via an Amazon Wish List that was publicized throughout their church prior to the trip. The three of us non-medical people, who were not involved in the pharmacy, entertained children and I had the privilege of praying with those waiting for medical care. 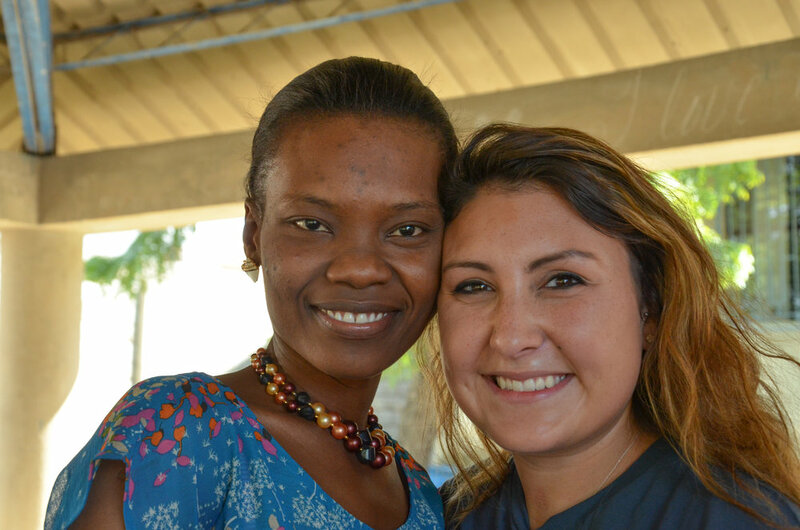 Noel had taught me how to ask if they would like me to pray for them in Creole and virtually everyone wanted prayer, even though I had to pray in English. It was a very moving experience for me! The King’s Garden Graduates trickled in to the Quisquea compound, which is just a couple blocks from Dr. Morquette’s Guest House, on Saturday July 30, which worked out great as they were able to mingle and catch up with each other and I was able to capture prayer requests with the translation help of Wilna and Juniot. We then moved to the pavilion area and each took a turn at the microphone to sing, rap, play an instrument, give a word of encouragement or thanks to the sponsors and to Dr. Morquette and soon it was time for lunch, which was a feast to behold. Then Dr. Morquette gave a message, we sang some worship songs, the Columbus Ohio team, that was staying at the Guest House, came down to meet the Grads and we wrapped up a wonderful day. But it didn’t end there, several stayed and walked to Papillion, had a soda and hung out while the Association Officers transmitted plans and dreams that they wanted me to convey to Laura and Annette. Their prayer requests were for wisdom and discernment to be able to make good decisions for the Association, it’s members, and the future. It was a very memorable trip and as I stated at the beginning, I learned a lot from the PSCT that will enhance how and what I do in the future. Thank you for your prayers, your partnership, and your financial support to HHP!!! Par-ty! That’s what we did for three days straight and it was so much fun to be with the King’s Children and Graduates. The King’s Children participated in two parties, one on Friday with their classmates from school (funded separately) and another private one just for them on Sunday after a beautiful church service, held in the conference room of King’s Hospital. On Saturday we had a separate party for the Graduates, young adults who have aged out of the Garden. They entertained us via singing songs and a brief presentation by one about how his life has recently been altered by God; we had a beautifully prepared lunch of salad, rice and beans, pasta and cheese casserole, and chicken and of course a bottle of soda. Later Dr. Morquette came and gave them an inspirational Christmas message that held the Graduates captivated. Then it was time for a little soccer playing; cutting and enjoying two cakes (one vanilla and the other chocolate); opening gifts; and finally fond farewells. The Graduates loved their new shoes, which all fit, and the other gifts that they received. The young men received a pair of sunglasses and the young ladies a lotion and a bracelet. Jim videotaped a few of the Graduates and their stories were so touching; they are so thankful to God for their sponsors and very much aware of how different life would be without that precious support. We were so humbled by the Graduates desire and prayers for God to bless their sponsors. As mentioned above, the private party for the King’s children was held on Sunday after church. One of the older girls read the Christmas story from the Creole Jesus storybook and then we attempted a craft of creating the manger scene from popsicle sticks; it was a little more difficult than anticipated but they enjoyed putting Mary, Joseph and Jesus in the manger! We played Christmas music on the boom box and danced. When it was time for lunch, we all chowed down as it was again another beautiful meal replete with rice and beans and chicken. Afterwards, we played various games with hula hoops, duck duck goose, and big fish little fish. Finally, it was time to open presents. The children all received two pairs of brand new shoes – a sandal and a gym shoe and then age appropriate gifts. The young boys receiving a lego toy, coloring book, and crayons or markers and the young girls received a tiara, coloring book and crayons or markers. The older girls received lotion, markers and stationery and the older boys received sunglasses and markers. All of them received a snack bag of Pringles and cookies, a balloon, punching ball and a glider. The younger children loved chasing and batting the balloons and the older children relished the punching balls; all of them enjoyed the gliders. Finally it was time to call it a day but they were so preoccupied with their toys that there were no tears (thank goodness), plus they knew that we would return in the morning for a couple hours. Monday, our day of departure, we returned to the Garden for more fun with balloons and gliders. It was so great to see them enjoying their gifts and to just hang out. This time with the children was such a joy! We praise God for a great trip and everything coming together so well, that the gifts made it there without being broken or stolen (especially after one customs official took an interest in our shoes). Most of all we are so thankful for the time spent with the King’s Children and Graduates who are so thankful for how they have been blessed and especially for their sponsors, who make it all possible. Their gratitude is overwhelming! To see a slide show of the highlights visit our facebook page. Seventh time is the charm! Things went very smoothly this year. We made the most of the short time we had. 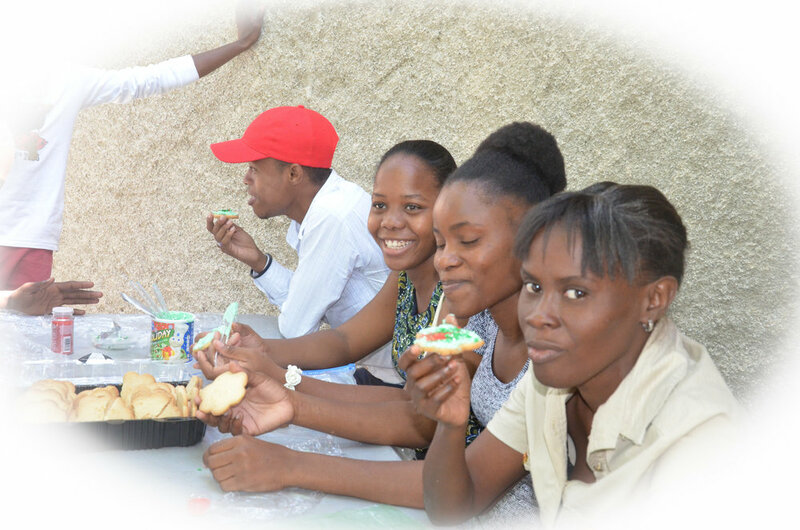 Sunday after church, we frosted cookies with the kids at the orphanage. I believe this is one of the highlights for the kids. We purposely separated it from the main party to spread out the food. The kids notoriously get sick after the party because of eating too much. Monday was the big party with the kids at the Garden. We had stories, crafts, and games. Teri Dykhuis and Amy Nelson did a great job at keeping the kids busy. Right after lunch we continued the Christmas story with the wise men, which lead right into giving out the group gifts. Thanks to your generosity we were able to give them: A new TV, DVD player, Sponge Bob movies, a Piano Keyboard, and an acoustic guitar. Soon after, we distributed the individual gift bags. The older children each received a watch thanks to Amy Nelson’s facebook plea for watches. The younger ones received a Barbie doll for the girls and cars for the boys, in addition to miscellaneous items and snacks. To quote Gaethan “the kids were overjoyed with their gifts”. Tuesday we had a separate party for the older kids that are no longer at the Garden. They are good at entertaining themselves, so we just enjoyed their company and watched them reunite as a family. I’m happy to say everyone was able to come with the exception of Sherlindeda who is now living in the Cap Haitian area. Many of them shared how grateful they are for the support of their sponsors. Our support means more to them than we can ever know. Wednesday we were back at the Garden. It was so nice to spend that time with them and be there to see them enjoy their gifts. We praise God for the postponement of the Election, for all the gifts making it without getting stolen or broken, and the overall smoothness of the trip. Most of all for the kids themselves who remind us that sharing Christ’s love is what Christmas is all about. Haiti is in good hands! Hello Sponsors, friends and family. THANK YOU for your prayers. God was listening. King’s Garden It was a very productive trip. Thursday was a day to enjoy the kids at the orphanage. Teri Dykhuis had the Garden kids total attention with the story and crafts she had planned. The kids read the story of David and Goliath and then had crafts to go along with the story. They colored a huge picture of Goliath and then made poppers that shot yarn balls at him. They also made David’s pouch and rocks out of felt and clay. They threw the clay at Goliath and conquered the giant. When you have a little bit of chaos, you know it was a success. We had a short visit with the kids Sunday afternoon. 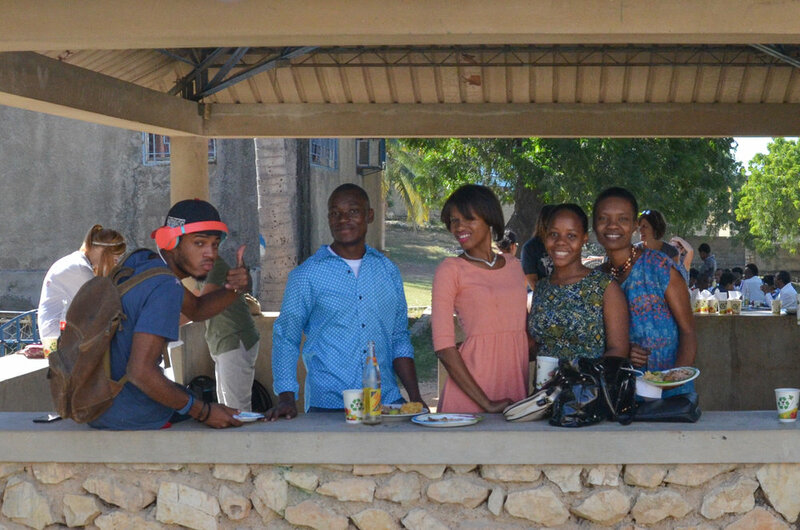 We went to their church service and enjoyed watching them devour the mangos my friend Twana bought for the kids. Graduates from King’s Garden Friday ReachGlobal graciously came and taught Bible storying to the Graduates from the Garden. The training taught the kids the art of storytelling, which helps to illustrate points and share the gospel. Reachglobal used the story of Zaccheaus and then the graduates were divided into teams and assigned a Bible story to learn and retell. While the Graduates were participating with ReachGlobal, Mark and I met one on one with each of the young adults. We were able to get updates on their lives and had the privilege to pray for them about their biggest concerns. It gives us a peek of the daily struggles these kids face and how important it is to continue to support and encourage them. One of the main goals of this ministry is to help them become independent productive adults. We ultimately want the kids to be empowered and not dependent on us. 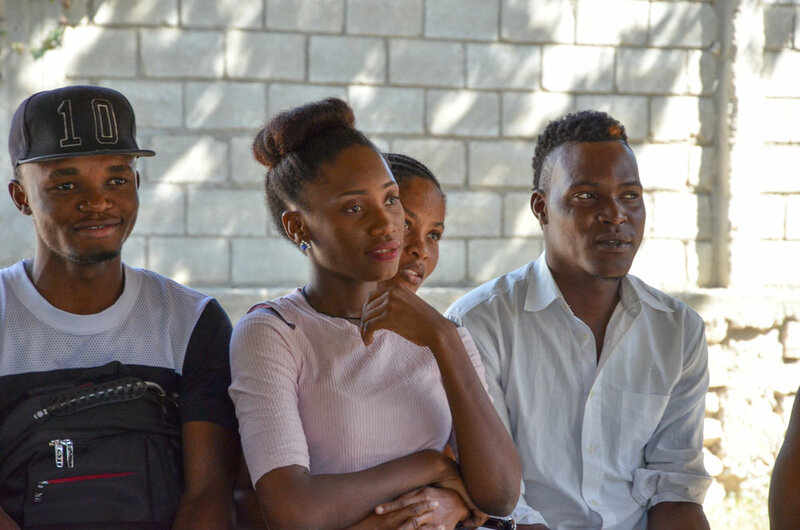 An important step to this process is to form an Association that is able to distribute their monthly funds with out relying on King’s Organization, Dr. Morquette or any other outside help, other than Hearten Haiti Project (HHP) and the support their sponsors send. The first step is to become a legal association so they can open a bank account. This should become official at the end of September. They have already established the leadership team as follows: President Jean Marc (Moise) Alexandre, Treasurer Juniot Jean-Baptiste, Secretary Wilna Francois, Advisor Sindy Francois and Assistant Secretary Melissa Metellus. Saturday was devoted to casting vision for the association. God had already been working! The leadership team had already had many discussions about the organization. The kids were on the same page as us and took over the meeting. We were blow away by how much thought they had already put into the issues such as distributing the monthly money with out cash to protect everyone involved. They will take over all requests for money and follow up with collecting receipts, verifying report cards and general accountability. We also encouraged them to dream big. With good stewardship comes more opportunity. If all goes well, we will help them raise money that can start a small business such as making soap. We can send mission teams that will support their vision and help them raise resources to create jobs and income for themselves. The kids had already been talking about such possibilities. I am so encouraged by this trip. In the past it has been about how can we help them. Now it is about them owning their future and the possibilities are endless! To see a slide show of the highlights visit our facebook page. To sum it up short, but very sweet. Saturday we were supposed to arrive at 9am but of course we had a little snag. As we were boarding our plane to PAP, one of the passengers opened the emergency exit, which deployed the slide. The plane was now inoperable. AA found another plane and gratefully we were only about 2 hours behind schedule. We were picked up from the airport and went directly to the orphanage. Thanks to Amy Nelson and her generous friends, we were able to give every child a new sheet set and a pillow. The kids also each received picture Bibles thanks to Jim & Teri Dykhuis. It was a nice way to start. We took a few of the older kids from the Garden and some of the Graduates shopping. We wanted the kids to pick out the snacks that would go into their gift bags. As always it was a blast just hanging out with the kids. In the van Manouchka was playing the Destiny Child’s song “When Jesus says yes, nobody can say no”. The girls and boys tried to out sing each other. It became our theme song. Sunday morning we went to the Garden to spend more time with the kids. At lunchtime we returned to the Morquette’s for the big meal of the day. Late afternoon we were heading to their church for a Christmas concert. It was a first time for me. All the kids from the Garden met us there and it was beautiful to be able to sit in church with the kids and listen to “The First Noel” in French and other traditional and unfamiliar songs. They ended with the same tradition that CCC does with candlelight only it was to “O Holy Night”. It made my Christmas. Prior to leaving for Haiti, I always struggle to get into the Christmas Spirit because it’s such a busy time and I’m preoccupied getting ready for the trip. But that evening put me in the Christmas spirit. It really felt like Christmas Eve knowing that the big party was tomorrow. There was no place I’d rather have been. Monday the big day was pretty low key. We knew the kids wanted to perf orm so we kept the agenda pretty simple and flexible. Unfortunately things didn’t go as planned (what a surprise) and by the time we handed out the gifts it was getting dark. Most of the little kids dispersed and brought the gift bags into their rooms so they could see them. And because it was so late, we had to leave right away. That was so disappointing to me because I really didn’t get to see them open their gifts or even say goodbye to many of them. For the ones that did say goodbye it was heartbreaking. There were many tears shed on both sides. It was a rough way to leave. The next morning on the way to the airport we stopped quickly at the Garden to pick up something we forgot. Pretty much nobody was around, except for Wolf. He was playing with a monkey he had received from the party. The smile on his face was a gift I sorely need from God. I’m very excited about the group gift this year. My husband suggested we finish the kid’s basketball court. Currently the ground is dirt with rocks. It has a wall that is falling apart and is jagged and uncomfortable to sit on. I got the estimate while I was there, and of course it’s the amount of money I had left from your sponsorship gifts! After it’s completed, I’ll share some pictures of the before and after. This year seemed extra special to me. I don’t know if it was because it was my third trip since July or what, but the kids seem so appreciative. They we extra loving and gave back so much to us through their performances. Dr. Morquette says the Christmas party is the day they wait for all year. “I can do all things through Christ who strengthens me” Phil 4:13Dear friends, We have just reached the end of the fiscal year. We praise God for all we have been able to accomplish, in spite of the lean resources, by being parsimonious without compromising with the standards of care our patients deserve. We are growing, though slowly. 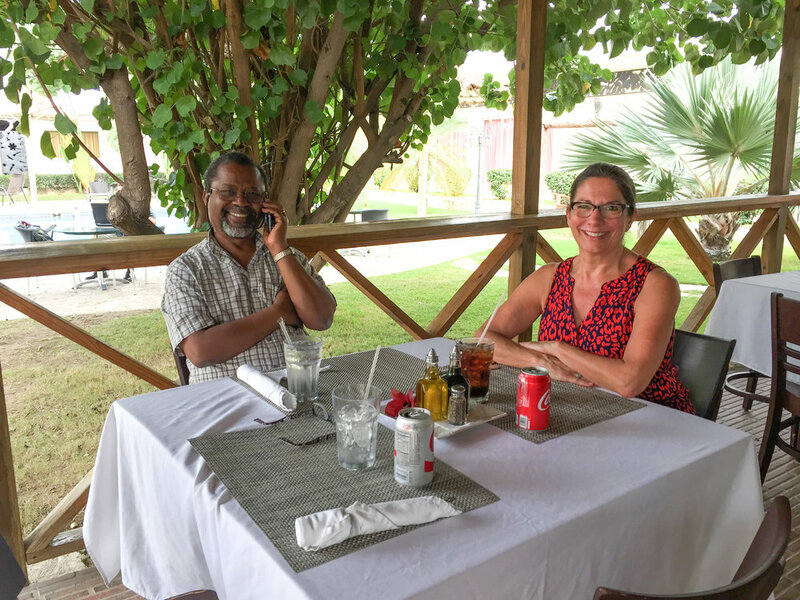 Looking around us, and being myself the president of the Christian Association of the Hospital and Health Clinics in Haiti, I was able to witness the difficulties all missions or humanitarian medical works have been facing. Some even have closed their operations. This is due to the decline of the international donations and the consequence of the “decapitalization” of the families in the Port-au-Prince metropolitan area after the earthquake that hit us more than four years ago. Our effort toward generating more local funds has been successful. Our daily income ratio has been generally improving (35 % in December; 52% in March; 64 % in June; 45 % in September). However, we still have an important loss of earnings. A large portion of our debt has been met by our friends from the Xenos Community Fellowship in Columbus, Ohio, but we are still in need of 60,000 dollars to meet our expense budget. Hopes are higher than ever, as Haiti seems to be moving ahead: roads are being built and the international airport has been renovated into a more modern facility. Several public buildings are being rebuilt in downtown Port-au-Prince. Moreover, a new airport is now in operation in Cap-Haitien in the North and American Airlines has inaugurated its first flight there. More hotels are being built and the number of tourists is increasing. The Haitian authorities are promoting the country saying “Haiti is open for business”. May God bless these efforts. King’s Garden and School Our children at the Garden are growing and are doing well at school. We definitely need more sponsors to keep the Garden and the primary school in good standards. As you know, Kenken, Rodriguez, Rolando are graduated from the Garden and went back during to their relatives the summer. Robinson will be leaving to be with a new family anytime from now. 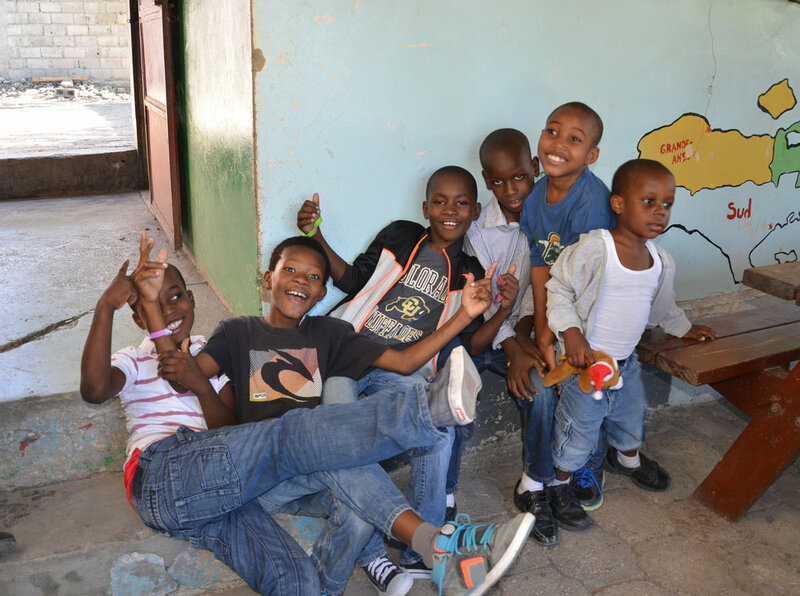 October 2014 We are currently caring for 33 children, 21 boys and 12 girls. We recently welcomed Dieunie and Yvemalande, 2 sisters of 13 and 8 years old. Please, continue to pray for: • Noel and Koffy, Naika, Love-Danny and Wolf-Kerby as their adoption dossier is still pending although near completion • More sponsors to keep the orphanage and the primary school in good standards. My real name is Jean Marc but I am known as Moise which is my nickname my grandpa gave to me. I was born December 14, 1990. I grew up in a big family in my grandpa’s house. It was a little house but there were a lot of people living in it; my grandpa, my grandma, my mom, my uncle, my aunt, my brother, my sister, and my two cousins. When I was 8, my mom and my dad went to live in a different house and my brother and sister went with them, that was the time things weren’t too good. My mom was a vender and that is how she used to take care of us. My dad did not have a job but sometimes he had something to do to make a living just not all the time. We always skipped school because my parents did not have enough money to pay for school for us. When I was 12 years old I used to go fishing with other people and used to do some side jobs. I used to have fun with my friends. When I was 13, my mom passed away and things started getting really difficult for us. It wasn’t too long until my Aunt Gracia found a place to put us and that place was King’s Garden. In March 2003, King’s Garden welcomed us. We ate better, made some good friends, and had people who took really good care of us. We went to school and was taught the word of God. It was like we were in paradise. We were happy we did not miss anything. Sometimes we felt sad too because we remember family members and friends we left at home that used to live with us. God helped us to get through all those times. In the year 2006, I started secondary school. I was happy, I am not perfect but I always had good grades. When I was 18 I left the garden and returned to live with my family. Things weren’t better but God put people in my way to continue to help me go to school and take care of some important needs for me. I continue to go to church and school. This year(2014) I graduated from high school. I am working, I teach English for kids in primary school and I do other things too. I hope and pray to God to make a way so I can go to the university this year. This is my dream to become an architect. I like to watch action movies. go to the beach, swim and travel. And I like mangos. Each month we will be featuring one of the life stories of the King’s Garden Graduates. This month we highlight Emmanuella's story. My name is Emmanuella. My birth date is September 2, 1990. I have five sisters. I had one sister pass away so now I only have four. She died from the earthquake, January 12, 2010. I was very sad because she left my mom with a pain in her heart. I have one older brother. In 2005, my dad passed away my mom did not have enough to take care of us. After my dad’s funeral, all of his family left us. He used to do retail to take care of us. It wasn’t really good because there used to be gun shots in Matisan. Even though there were gun shots, my mom still went out to do business because she can’t stay in the house because she needs to take care of us and feed us even if she can only bring home 5 gouds a day. A few months later I went down to Besantne to see my mom at the dentist where she was working. I used to go see a guy named Phillip each time when I go see my mom and I would always say hi to him and he used to call me daughter and that is how my mom met him. I told him my dad passed away and he said “what would you like me to do for you, my child?” I said to him, “I don’t know.” He thought a little bit and asked “what will you choose? I will pay for your school or find a place for you.” I told him, “let me talk to my mom and I will get back to you.” And I told my mom and she thought about it and she said yes to have him put us somewhere because she didn’t want the young boys in the neighborhood to take advantage of us because she was the only guide for us. A few months later, Mrs. Pricille from King’s Garden called my mom to bring us in. And my mom took me to the King’s hospital. At that time, we went to Basantne to see Mrs. Pricille and my mom signed for us, me, Sindy, Manouchka and Erika. After that my mom left and Mrs. Pricille took us to the orphanage. In 2009, I turned 18. I went back to live with my mom. At that time, my mom was living with my older sister, Minouche and her husband. A few months later, Ms. Jeanty asked for me to come live with her because my sister’s house was too small for all of us and that’s how I went to Ms. Jeanty’s house. She paid for school for me and she put me to work really hard but I wasn’t really worried because I kind of got what I was looking for. After some months I wanted to go back to live with my mom because I was doing a lot of work and that is not was Ms. Jeanty told my mom. I called my mom to come get me because I wasn’t in a good condition like when I was at King’s Garden. Some years later on January 12, 2010 was the earthquake and my sister’s house collapsed and my little sister was inside. The neighbors took her to the hospital but she passed away the same day. After that my mom went to live at the tent city called Chmp de Mars because there were still aftershocks. My mom was crying the whole time because my little sister passed away and I was really sad for my mom. Some months later, my mom built a tent with wood and tarps for us to stay in. At that time, Sindy my little sister turned 18 and it was time for her to leave King’s Garden. Too bad she had to come live in the tent with us. I was thinking about how God sent Sindy back to my mom to help her feel better because it was so many years since she saw her. In 2011 we told Tia (Manouchka and Erika’s adopted mom) we live in a tent in Chmp de Mars and after a month Tia sent us a tent. My mom put it on a piece of property that my grandpa gave us when my dad passed. One time Tia came to visit us and saw the place and she thought she could help to build a house. Sadly it wasn’t big enough. One month later she called my mom and told her that she and Lynn (Sindy’s sponsor) will pay rent for us where we are living now. I am always thinking when I am done with school I would like to go to University to be an electrician or to be a nurse so I can help my family. I trust God one day my dream will come true. When I have a job I will mostly help people who are in need, like those kids without parents. That is all I want to do in my heart. Thank you, love you. Each month we will be featuring one of the life stories of the King's Garden Graduates. This month we highlight Michelle's story. Michelle was the first orphan from King's to turn 18, leave the security of the Garden, and face the world on her own. Learn more about the Garden Graduates. My name is Michelle. I was born on March 8th 1989 in Port-Au-Prince Haiti. I have five brothers and I had two sisters but one of my older sisters died. I share the same parents with my three younger brothers, Jean Marc, Marc Noel, and Coffy. The other two brothers have a different father. I have never lived with them so I don’t know what is happening in their lives. Before my mom’s death, I lived with my biological parents. I have some family from my mother side. They don’t really know my brothers and me. Most of my father’s family lives in Carrefour but everyone minds their own business. We are a part of the family but that’s it. My life before King’s Garden is fuzzy and nasty. We did not have a comfortable house. We couldn’t go to school or church. We didn’t have any food. We ate only once a day and not until nighttime. Some times our neighbors would give us some food and drink in the morning. When my parents had enough money, I got to go to school for a little while. If they got more money than one of my brothers could also go to school. When my parents were moneyless, none of us got to go to school. I came to King’s Garden after my mother’s death. My aunt knew someone who worked at King’s Hospital and they talked to Dr. Junie about our situation. Our mother was our all and all. She was our nights and days. Unfortunately our father was a drunk so he couldn’t think or plan anything for us. So that is why we ended up at the Garden. I live in my hometown; Carrefour and I live with my youngest Aunt Estephanie. I would like to be a nurse because there is a many sick people and only a few doctors and nurses to take care of them. I love to care for other people. I love to go the beach and of course I feel better when I’m with the other kids at King’s Garden. Thanks to your generosity we had enough money to take some of the older kids shopping to pick out a group gift for everyone at the Garden. The boys spotted a pair of professional wireless microphones and some huge speakers. At first I was skeptical because it was a lot of money. Their pitch was they could use them for Bible studies as well as singing. The speakers had a built in radio and USB port to play music. When the girls agreed with their purchase I gave in. They chose it over the Wii so I figured it was a wise choice on their part. We will see how well they take care of it. Hopefully it will still be working next time I’m there. Our first party day was at the Garden. All but one of the Graduates was able to join us (Fleurette). We decorated and ate cookies, played games, had a huge lunch and then broke into four groups and rehearsed for the Christmas play. We gave the kids the big group gift and it was received with great joy. Day two was at the chapel a block from Dr. Morquette’s house. Most of the Graduates returned even though they already received their gift. It was a blessing to give the kids a new environment and a huge amount of space where they could just play and hang out. After lunch we got back into our groups and rehearsed for the big Christmas Drama. We brought the four groups together and enjoyed each other’s performance. We had a narrator explaining the importance of Christmas and afterwards Donna wrapped it up with a Gospel presentation. Four of the kids accepted Christ (Robenson, Mirlanda, Saralie & Micaella). My biggest regret is that I didn’t get to talk with the kids afterwards to see where they were at and if this was their first time asking Jesus to be their Savior. At this point we were out of time. We quickly had cake and decided to give them their individual gift bags the next day. Day Three we had a late start. After some site seeing and miscellaneous shopping for the kids, we finally arrived at the Garden. After lunch we passed out the individual gift bags. One little boy squealed when he saw his car. How beautiful it was to see a little thing like a car bring so much joy. 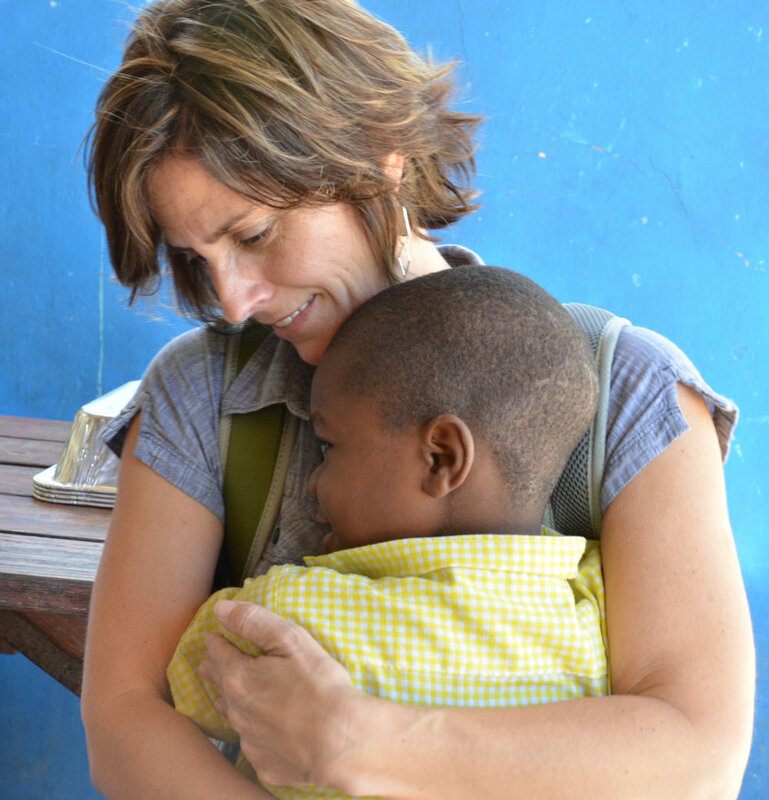 It’s one of the main reasons I appreciate the trip to Haiti in the middle of the busiest time of year. I didn’t see my kids get that excited about any of their gifts. Probably because they have everything they need and want already. Overall it was the smoothest Christmas party trip we have had. Spending three and a half days with the kids made the difference. We were able to spread the treats and activities out and that gave us flexibility and plenty of time to just enjoy the kids. Thanks so much for your continued generosity and commitment to the kids. Because of your support, these kids know that they are loved and valued not just in God’s eyes but in ours as well. What a privilege to spend three days with our Young adults from King’s Garden. The first day we had 16 out of 18 Graduates attend. The second and third day we had all 18 in attendance. I was so encouraged that their roots in King’s Garden are strong enough to make this time with us and each other their priority. We provided breakfast, lunch and transportation each day for them and that allowed for us to start on time and have time for fellowship. In our three days, we discussed what kind of soil we are, God’s Love, Sin, Truth, Power, & Hope. Our main purpose of the trip was to help them establish Bible Study on their own. During the teaching time we taught them a method they can apply to their reading and for discussion. It simply asks…What did you like about this passage (thumbs up)? What did you not like about this passage (thumbs down)? What does this teach you about the nature of God (point up)? What does this teach you about the nature of people (point down)? How can I apply this to myself (point to self)? Who are you going to share this with (point out)? The most rewarding part of the trip was to see the kids in their small group applying the method. They were into it and took it very seriously. We challenged them to meet regularly and have a Bible Study and pray for each other. They elected a leader (that was very entertaining) and will meet the last Saturday of the month at King’s. I’ll be checking in with them to see how it goes. The highlight of the trip was when the kids spontaneously started sharing how the consistency of CCC and the GoTeams impacted their lives. They so appreciated the support of the sponsors and that they were not abandoned when they left the Garden. For myself I really needed to hear that. With the difference in language and culture it’s not always clear that we are appreciated. So incase you were wondering, YES we are making a difference. This year we decided to get the kids out of the Garden and into the beautiful Haitian countryside. Many of the Graduates joined us, which made it special for all the kids. Dr. Morquette gathered the kids and told them the Christmas story. We had a ton of food. After everybody had seconds, we fed the neighbors with the left-overs. The next day we had the present portion of the party. We started with the kids drawing each other’s name and then helped them pick out a present for the person they drew. We had a bunch of small gifts and they did a great job of matching the present with their person. This was my favorite part of the trip. I don’t think they had ever done anything like that before and they really enjoyed the whole process. Later we handed out their personal gift bag and then a Doll House for the girls and a Hot Wheel Garage for the boys. That must have been God’s idea because the kids were really excited with the gifts. Wednesday we also served the kids a big lunch with cake for desert. Some of the Graduates were able to come back and join us. It was a wonderful day where we got to just hang out with the kids. Over the past year, King's Hospital implemented a free program for expecting women and their new born babies. The main offer of this program is free care for women of vulnerable families in the vicinity of the hospital during and after their pregnancies, free delivery and health care for the new born infants. THIS PROGRAM IS SAVING LIVES OF WOMEN AND CHILDREN!!! 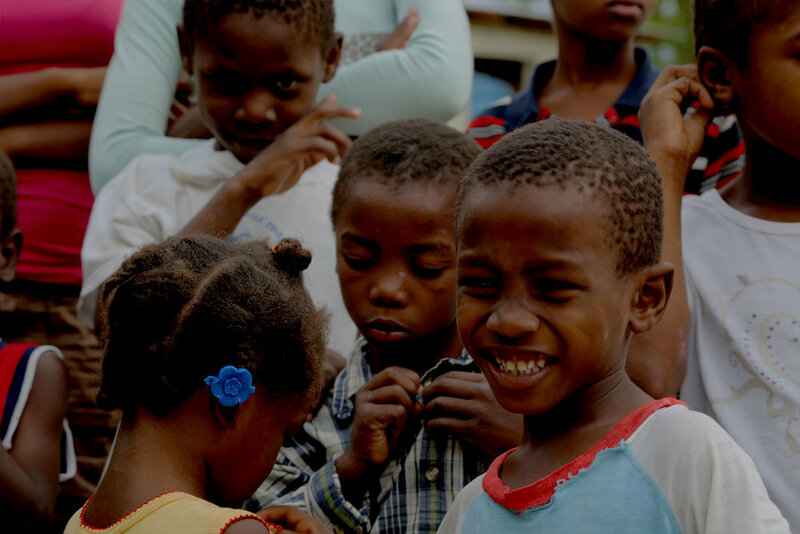 The infant mortality rate in Haiti is estimated at 54/1000 births and the maternal mortality rate is at 630/100,000 births. This is the highest in the Western Hemisphere! The women are counseled in family planning and health education. Mothers and babies are provided with immunizations, vitamins and special care needs. You can be a part of saving lives by donating to this worthy program. Our goal is to raise $95,000.00 to support King's Hospital in these life saving efforts.